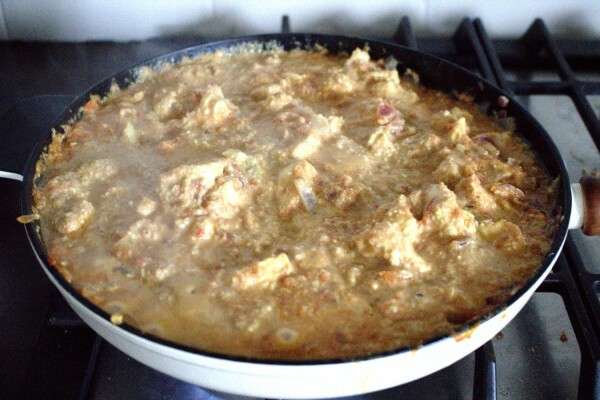 I’ve been developing this recipe : Indian Butter Chicken (Murgh Makani) – No cream for quite some time. 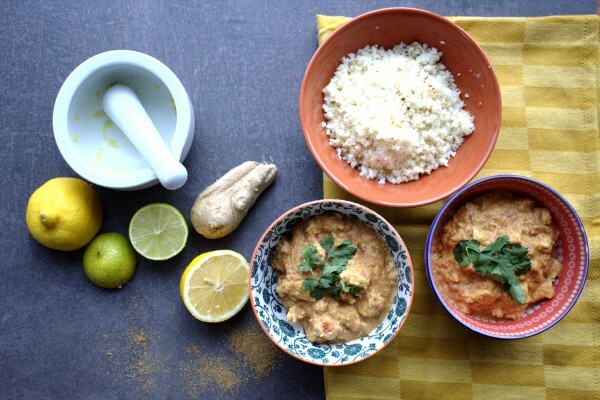 My husband’s favourite takeaway meal hands down is Indian butter chicken so I was determined to make one that all the family could eat and enjoy. 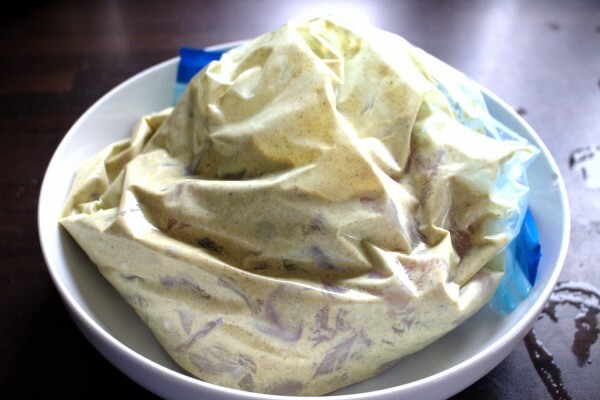 Indian food is so full of flavour and while I don’t claim to be any expert here, after some research and testing, I discovered that the secret is usually in the marinade. If you only have four hours to marinate the chicken, this will work but it’s best if you can leave it marinating overnight. The depth of flavour really is noticeable. It is really worth it to buy some authentic spices. The ones in the supermarket tend to be overpriced and not as good as those food in Asian stores. We found a local wholesaler that sells us delicious, pure spices at a fraction of the cost of large retailers. I absolutely love cooking Indian food. There is something about mixing all the spices that really warms my heart. Not to mention the beautiful aroma that fills my kitchen. 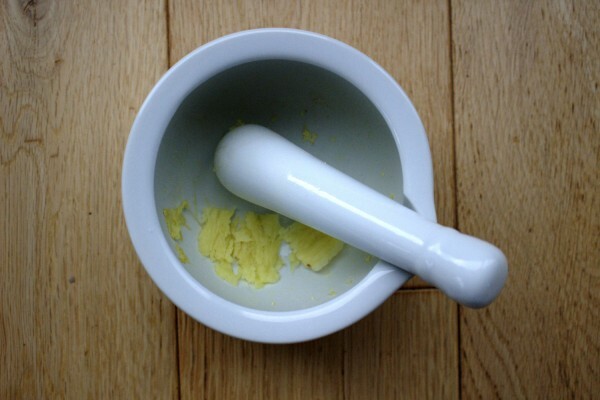 My favourite kitchen utensil has to be my pestle and mortar. 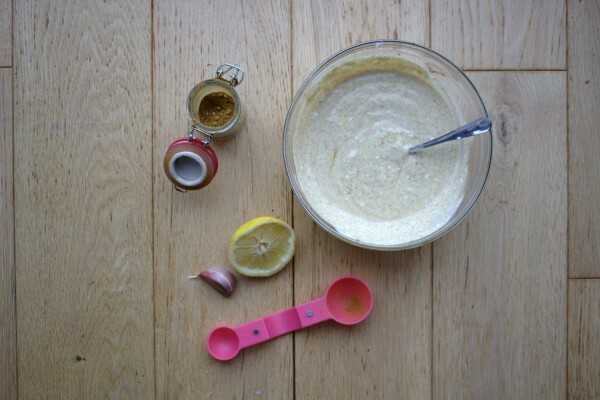 You can regularly find me in my kitchen making a fresh garlic and ginger paste with a big smile on my face! Soak the raw cashews. This will help them to break down in the blender and also makes them easier to digest. 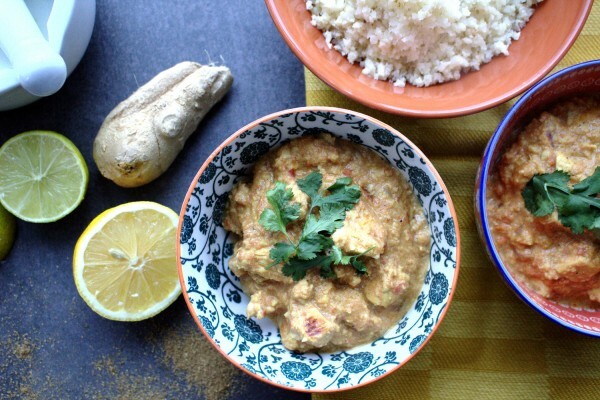 It is the cashews which make this sauce “creamy”. Chop the chicken breasts into small pieces, prepare the marinade and marinate the chicken overnight in the fridge. This Indian butter chicken dish freezes great so it’s a fantastic one for batch cooking. I serve this with a simple side of cauliflower rice and it really brings me back to my pre-Specific Carbohydrate Diet (SCD) days of Friday night takeaways only without the food hangover the next day! 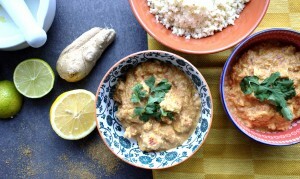 A delicious, fragrant and aromatic Indian butter chicken recipe without cream but not without flavour. 1 x 400g can Chopped, tinned tomatoes* *Make sure the brand you use is completely sugar-free. 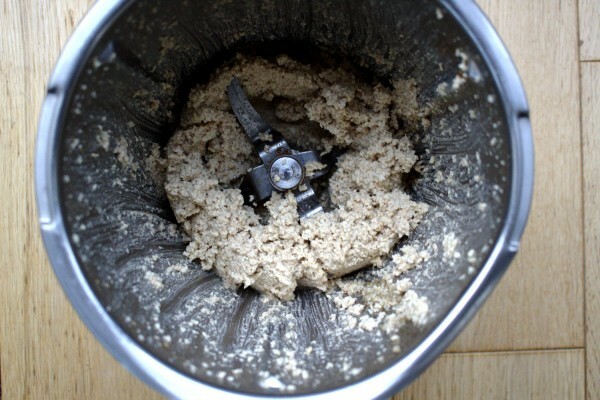 Make a paste with the ginger by grinding in a pestle and mortar with a pinch of salt. Add all the ingredients for the marinade except the chicken together in a bowl and mix well. Add the chicken pieces and coat well. Pour the chicken and the marinade into a large ziploc bag and place into a large bowl in the fridge overnight. Place the cashews in a bowl covered in water and leave to soak overnight. Melt the butter and oil in a deep frying pan on a medium-low heat. 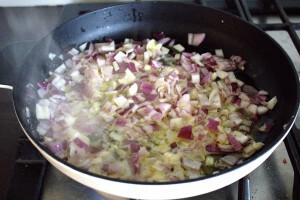 Add the onions and cook for a few minutes until they become soft and translucent. 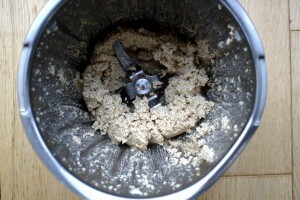 As for the marinade, make a ginger paste with the ginger in a pestle and mortar by grinding with a little salt. 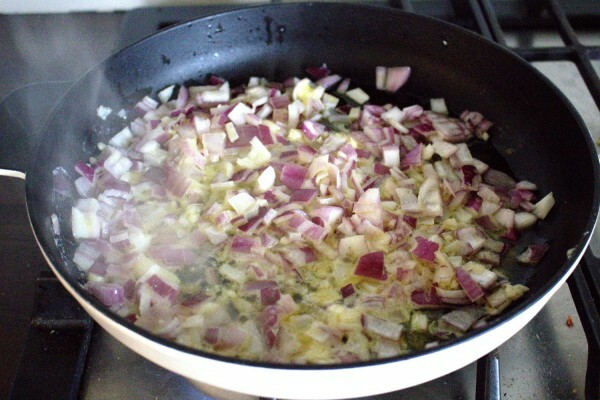 Add the ginger paste and garlic to the onions. 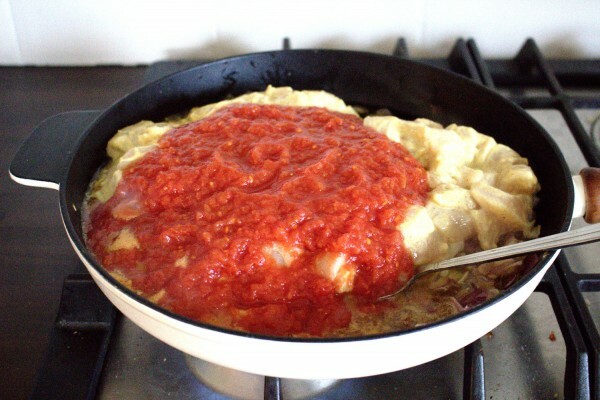 Next, add the chicken with its marinade along with the tinned tomatoes. Sauté until the sauce reduces significantly-at least 15 minutes. Season with sea salt. Meanwhile, drain the cashews and add them to a blender with the cinnamon, paprika and garam masala. Blend until you reach a cream consistency. Stir the cashew paste through the chicken and sauce. Add the honey and lime juice and mix well. 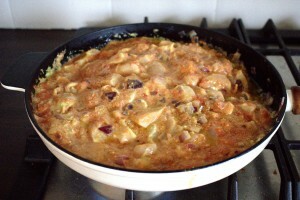 Continue to simmer for a further 20-30 minutes stirring often so that it does not burn. I highly recommended checking the chicken with a meat thermometer to make sure it is fully cooked. Taste the sauce for balance and season again if desired. Serve with cauliflower rice and garnish with fresh coriander. I made the butter chicken tonight and it was delicious, the nearest to a real takeaway that I have ever made. Thank you for the recipe. Hi Lynne. So happy to hear you liked the recipe so much. It’s definitely a firm family favourite here too! !